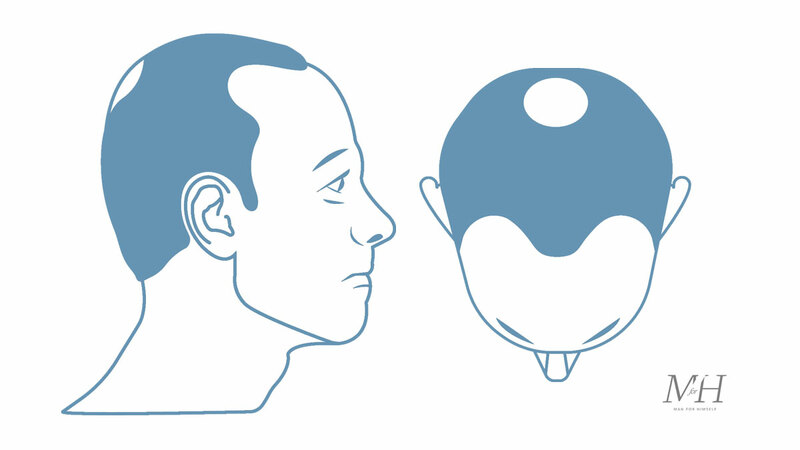 The 7 stages of hair loss explained. Suffering or worried about hair loss? This article and video explains the Hamilton-Norwood Scale – the official 7 stage scale to hair loss. The Hamilton-Norwood Scale (commonly abbreviated to The Norwood Scale) was developed by doctors James Hamilton and O’Tar Norwood. It was started by Hamilton in the 1950s and later updated by Norwood in the 1970s. 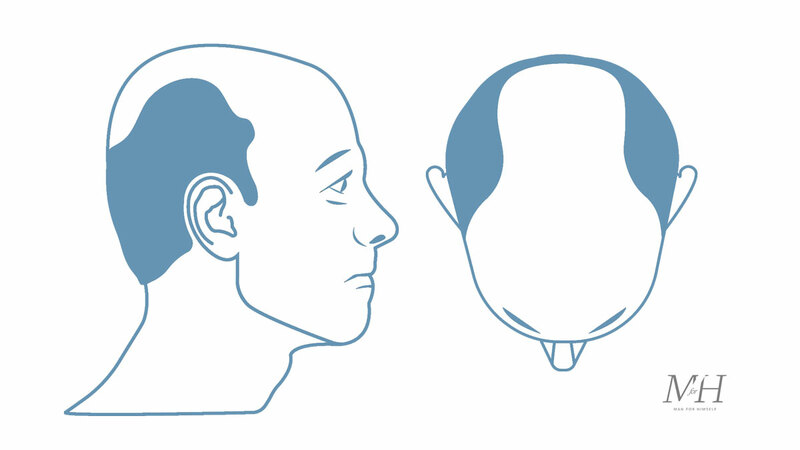 The Norwood Scale consists of seven images which show seven stages of male pattern baldness. Doctors have been known to use the scale to determine how advanced hair loss is and how to therefore treat it. The higher the stage on the scale, the more severe the hair loss. The earliest stages of hair loss where there isn’t an obvious loss of hair or receding hairline. Hair might start to recede in Stage 2 and a loss of hair starts at the temples. This video contains product placement by Prevention Hair Loss. See their products and treatments here. This is where hair loss starts to become more apparent and it might be worth considering researching treatment. 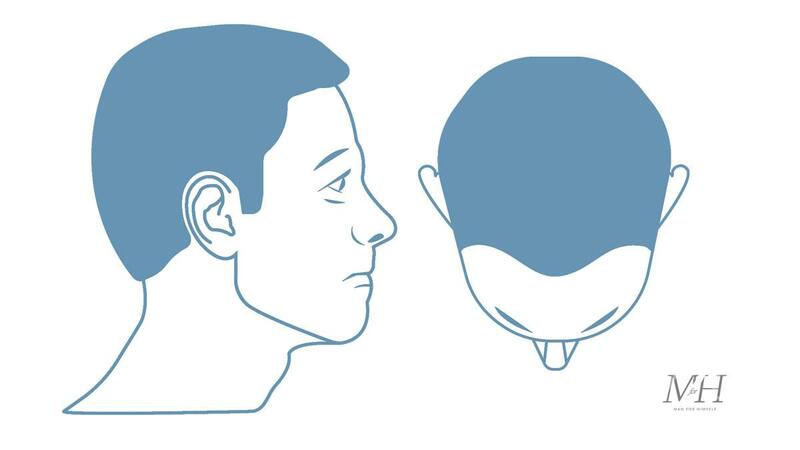 Hair will continue to recede at the temples creating an M, U or V shape. Balding spots will also start to appear. 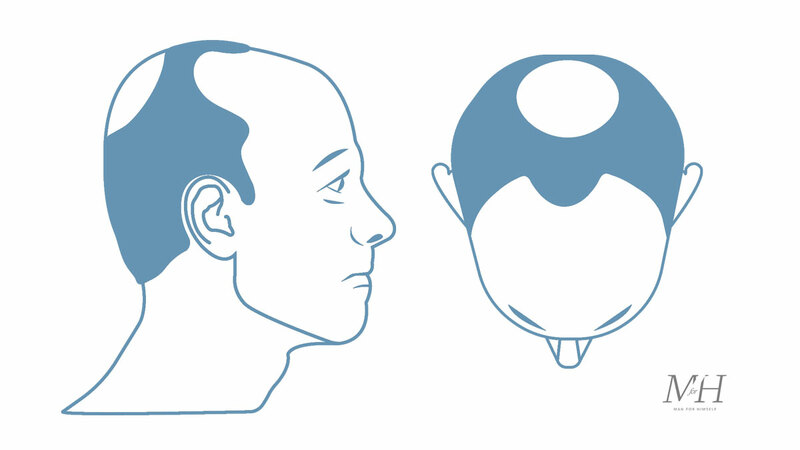 The hairline is the same as Stage 2, but the hair loss will appear on the vertex (scalp) of the head. 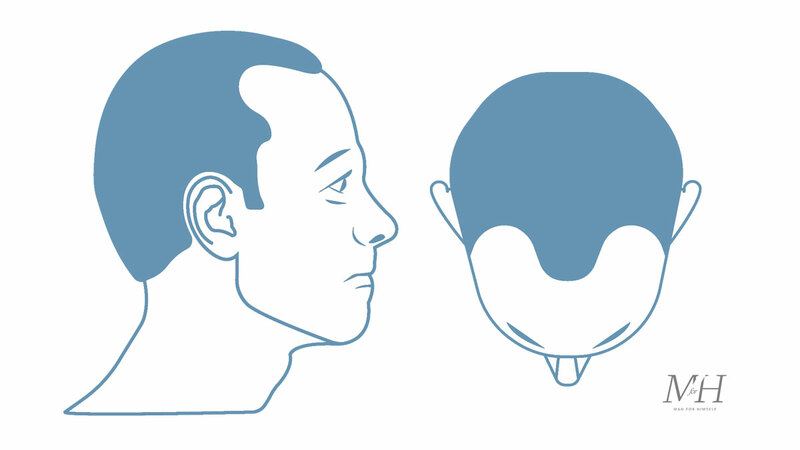 The receding of the hair is more severe in Stage 4. 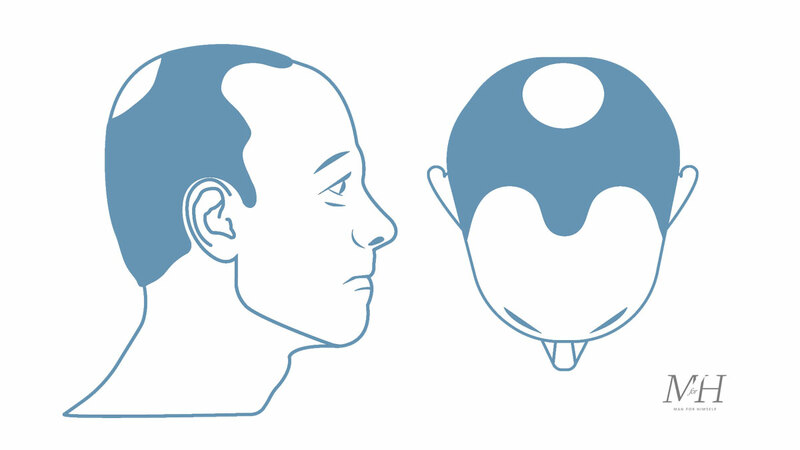 There will very little or no hair apparent on the vertex (scalp) and the hair will be connected by a band of hair that will connect to the remaining hair on the side of the scalp. You might also experience thinning at the front of your head. The band of hair around the scalp, connecting to the side of the scalp, will start to narrow. It will create what is known as the ‘horseshoe’ shaped hairline. It can be difficult to treat hair loss at this stage. Any remaining hair on the crown of the head will be extremely thin. The bald areas at the temples will join up with the balding of the scalp. 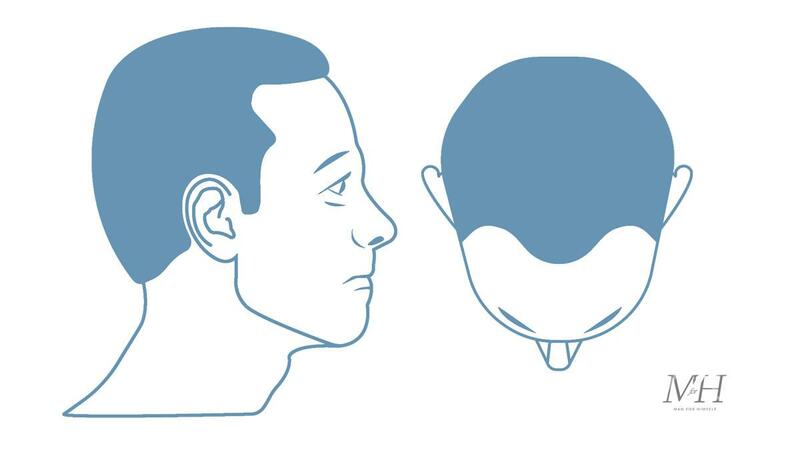 This is the most severe stage of the scale where the top of the is considered completely bald and only a band of hair remains around the side of the head. The hair in this section will probably be very fine as well. There is another, less well known, variation of the scale, known as Norwood Class A. 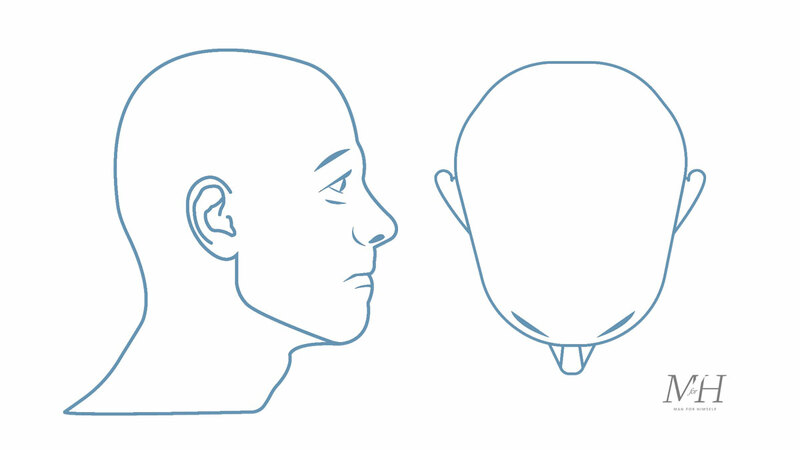 This is where the hair recedes without leaving an obvious bald patch in the middle of the vertex. 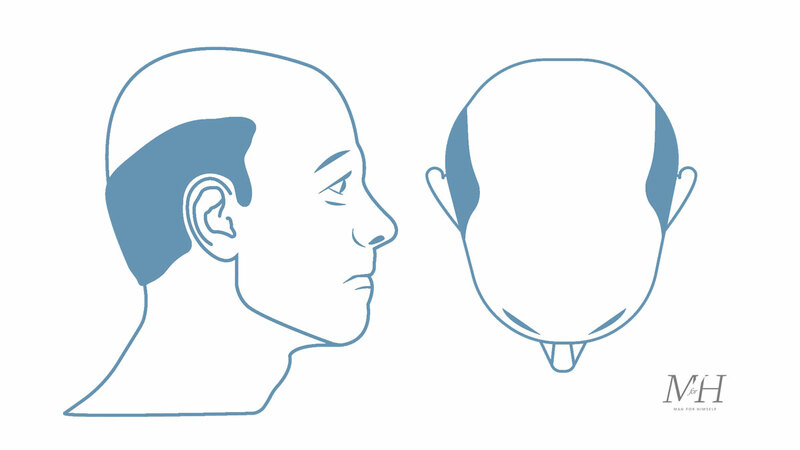 Hair loss occurs from the front of the head to the back.